For 10 years I have been renting to many satisfied repeat customers. If this apartment is booked, please see my other two apartments on VRBO #'s 816267 and 816268. They are all at the Cove, a small group of beach front, ocean view apartments, just 200 feet from the ocean. This modern apartment serves as your home base from which you can explore the peninsula. Arrange deep sea diving and sport fishing excursions with The Dive Academy. You can snorkel at some of the most beautiful beaches, including Playa Rincon, Playa Las Galeras, El Valle, and Playa Fronton. Seasoned scuba divers can explore local shipwrecks. I bought this property, because I got tired of the same old thing. I wanted to do something different everyday, and enjoy nature. I found this place after a tour of the whole island, and when I saw the view of the ocean, and enjoyed a dip in the infinity pool, I knew that I had to make this happen. From your front porch, you can sometimes spot the humpback whales, from January through March, as they come to mate. Wake up and watch the waves roll by! I have a few dozen video available. 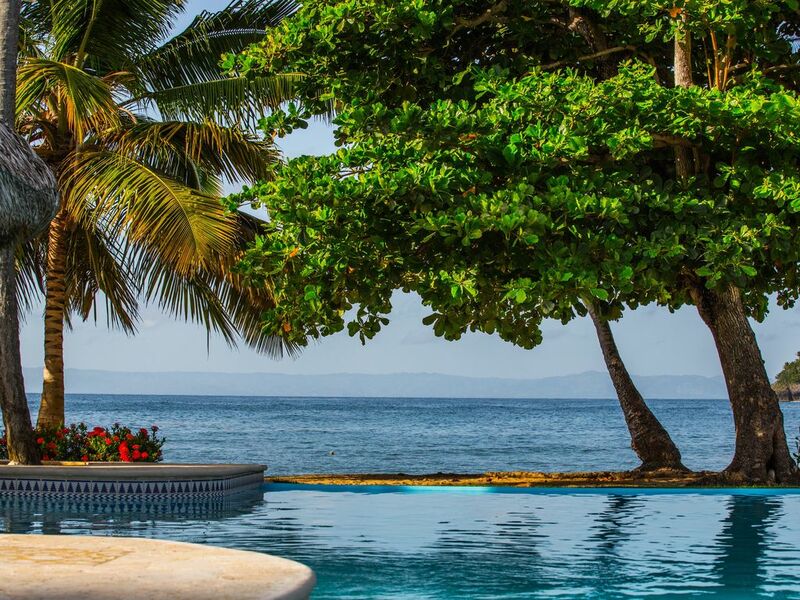 The Cove is a little bit of paradise situated just outside the delightful, typical Dominican town of Las Galeras. This is where you will also find our favorite beach La Playita. This is one of many beaches in the area. There's lots to see and do. Our apartment was much larger than I thought it would be and the view was beautiful. It was clean and everything worked. No problem with anything. Coco, the manager will do anything for you and get anything you need. He is awesome. We would learn more Spanish to go back for a visit. The owner, Patrick, was quick to respond and very helpful with our booking and advice as to what to do in the area and how to get there. We had a very good adventure and would definitely go back. Excellent property! A tropical paradise within a beautiful island! It was such a pleasure to be there when Patrick was there to show us around. It is a wonderful special place, so beautiful and so peaceful. Coco did everything possible to make us happy. A beautiful place to relax recharge and to get away from the main stream resorts. Most of the time we have the beach to ourselves! Thank you again Patrick for making us feel at home! Amazing location and the apt has everything you need. Close to fantastic beaches and great restaurants. Eat at El Cabito is a must. The view from the apartment is fabulous and Coco was so helpful. We definitely want to be back. Just loved the condo it as just as in the pictures. THANK YOU SO MUCH REILLEY FAMILY! We enjoyed having you there. It has been a great whale season, and I am glad that you spotted them in the Samana Bay. Just today I saw several just a few hundred feet from the beach again. Come back again soon! Wonderful time with wonderful people! Piece of Heaven On Earth! Staying at the Cove was the best place that my husband and I have ever stayed at. The spacious apartment with everything you can think of and more. Fully equipped kitchen, linens,towels and everything extremely clean. Beautiful pool and grounds, and very safe. To top it of Coco the person in charge at the property goes over and beyond to make your stay even more special. He made us feel like we were truly home. Patrick the apartment owner was quick in responding and gave us so many information about places to visit and things to do, that makes me want to already reserve again for next year. I can arrange for a local guide/assistant for $15 per day. They can help you arrange excursions and go with you to Cayo Levantado, Rincon, etc. It is a nice addition to help you avoid overpaying for items, or getting lost. I can offer a discount for a long term rental.